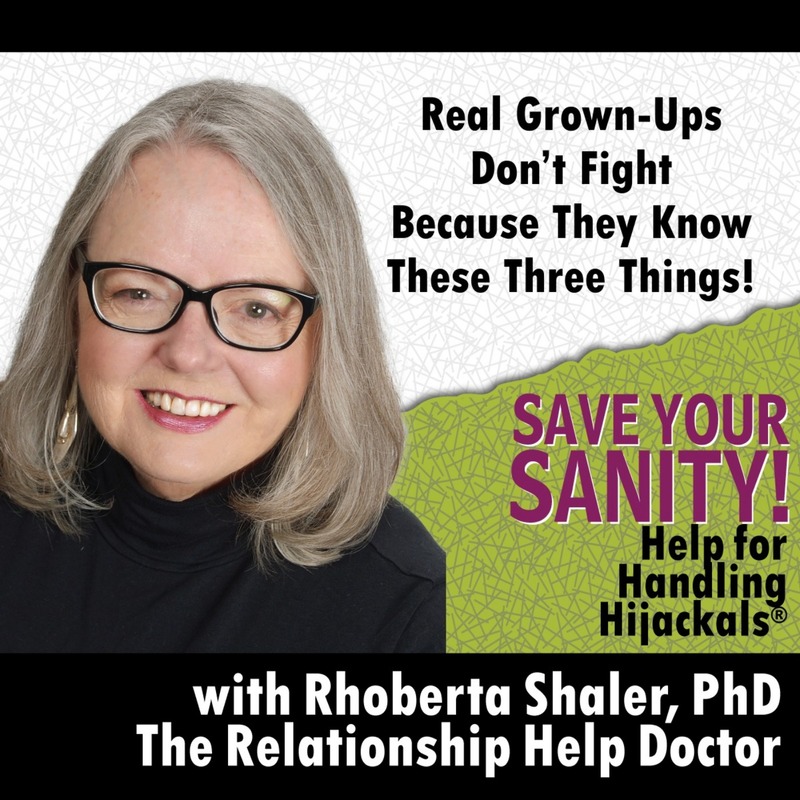 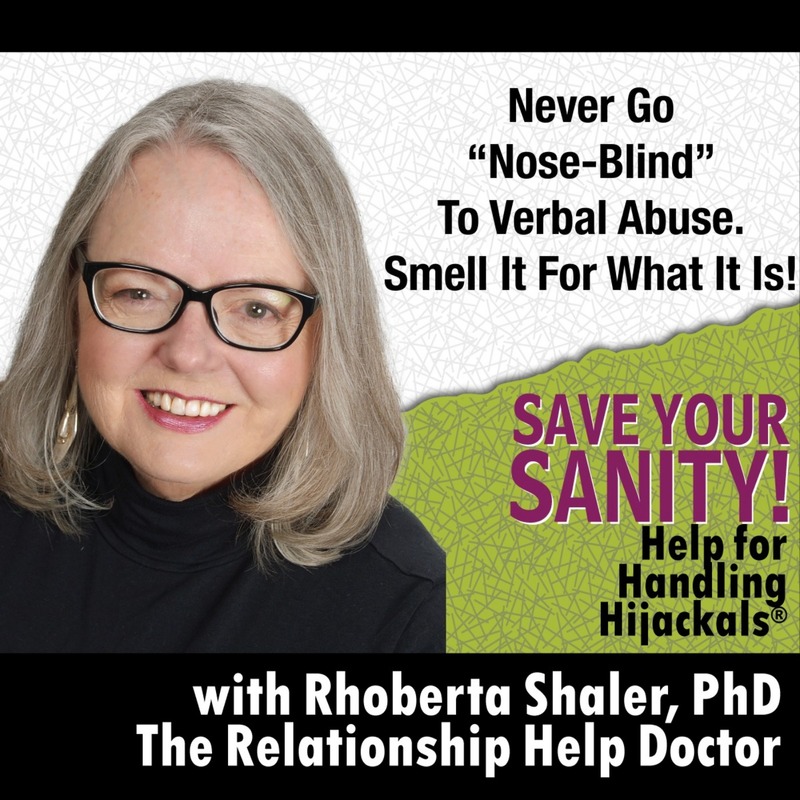 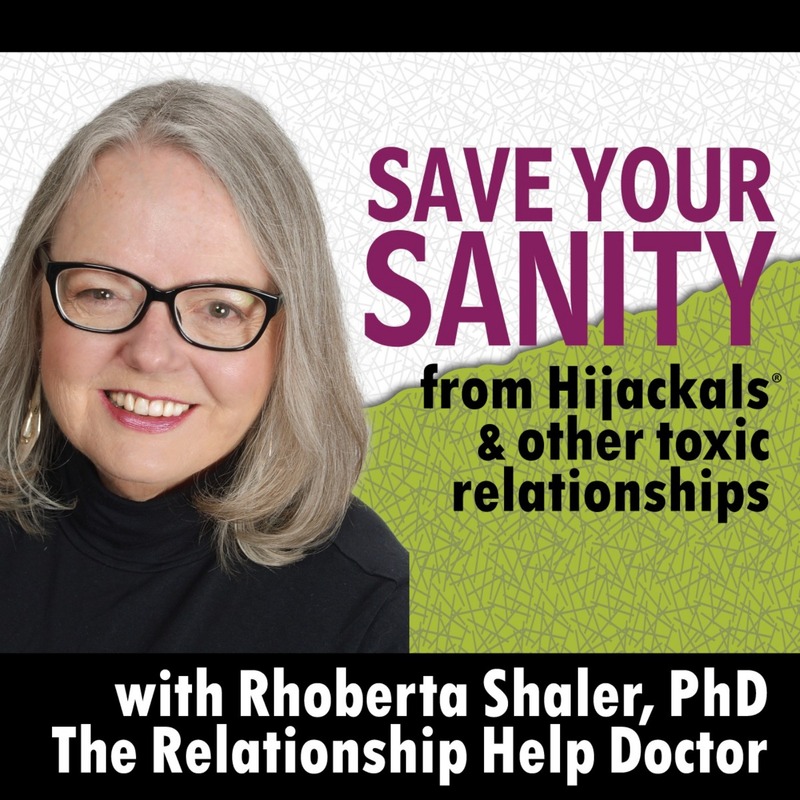 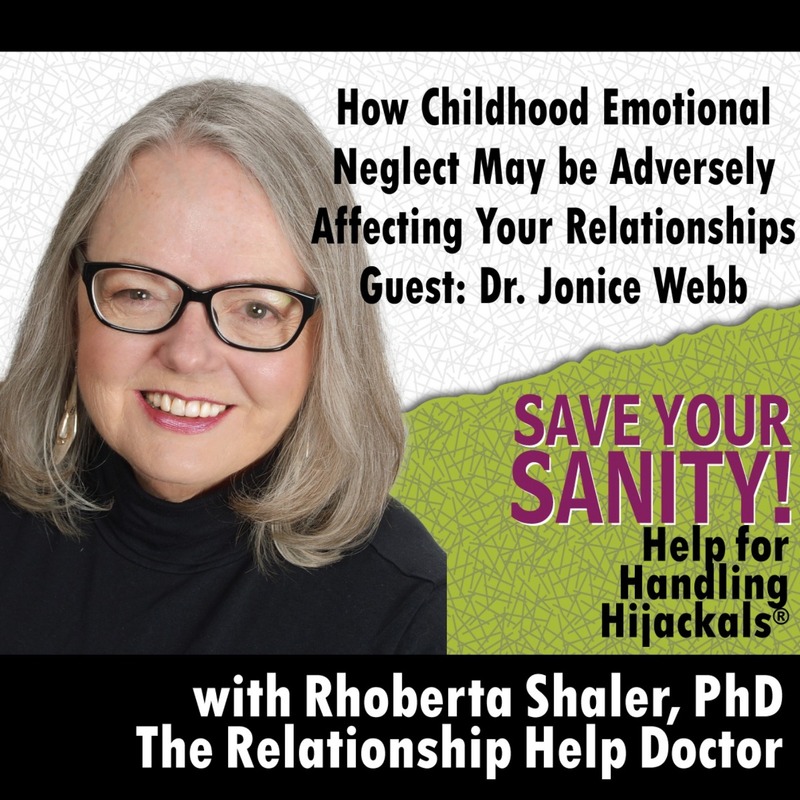 Save Your Sanity from Hijackals & Other Toxic Relationships | Listen Free on Castbox. 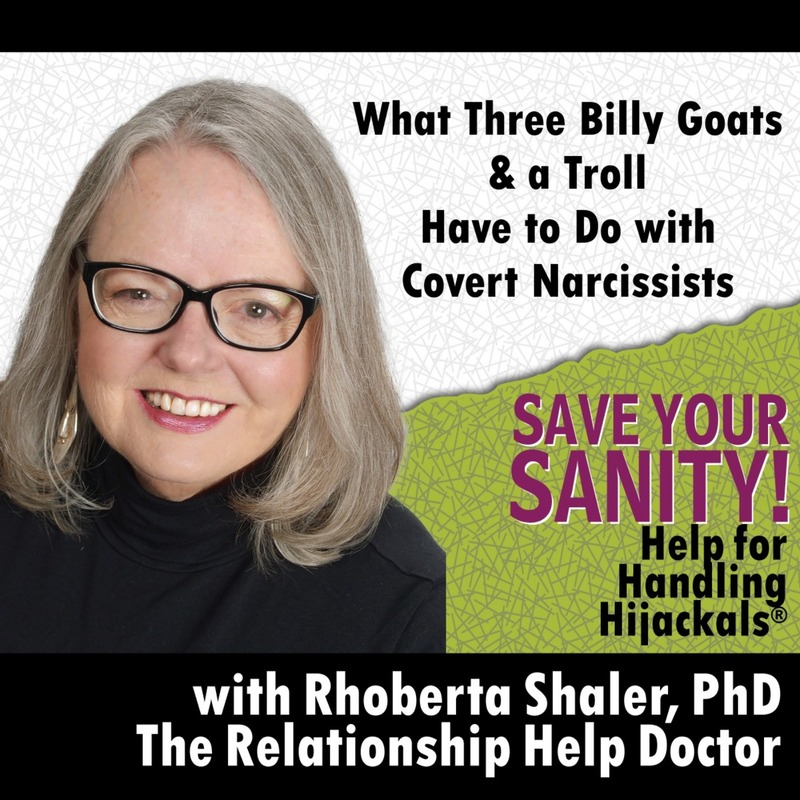 © Content here is owned and copyrighted by Dr. Rhoberta Shaler. 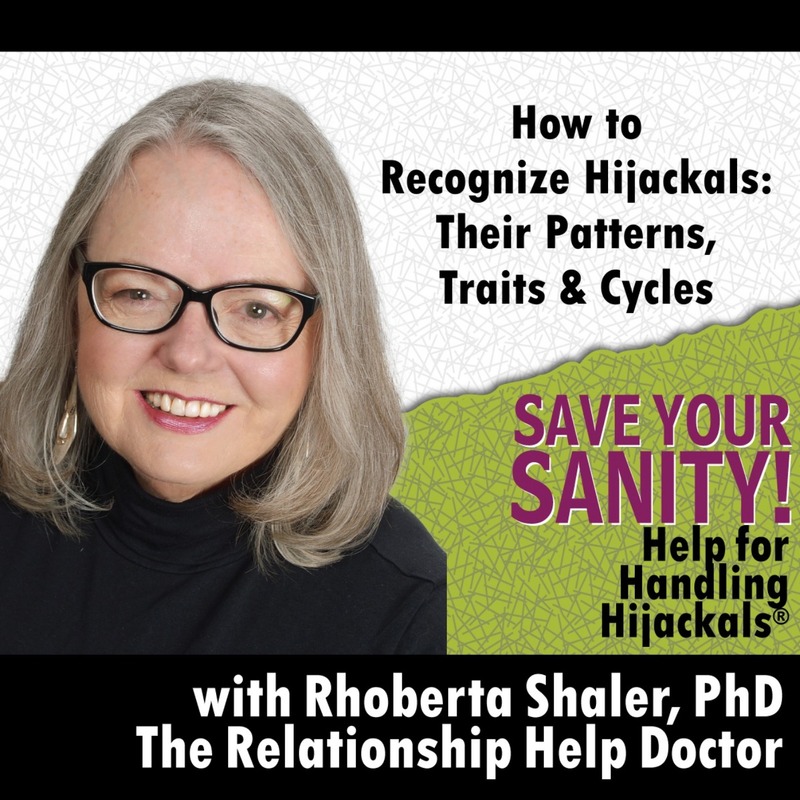 Invaluable help to stop the second-guessing, undermining, and crazy-making traits, patterns, and cycles you have encountered. Understand the ways, whys, and hows that verbal abuse, emotional abuse, and spiritual abuse affect you over time. 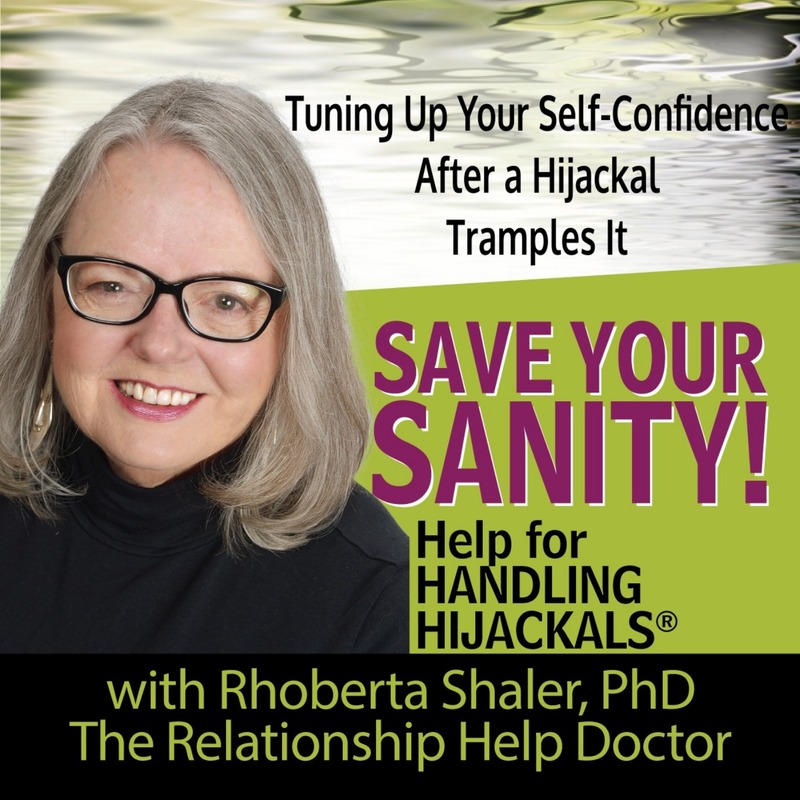 Whether the Hijackal is a partner, parent, ex, or colleague, what you will learn here will strengthen and empower you to step up, speak up, and stand up for yourself in healthy, assertive ways. 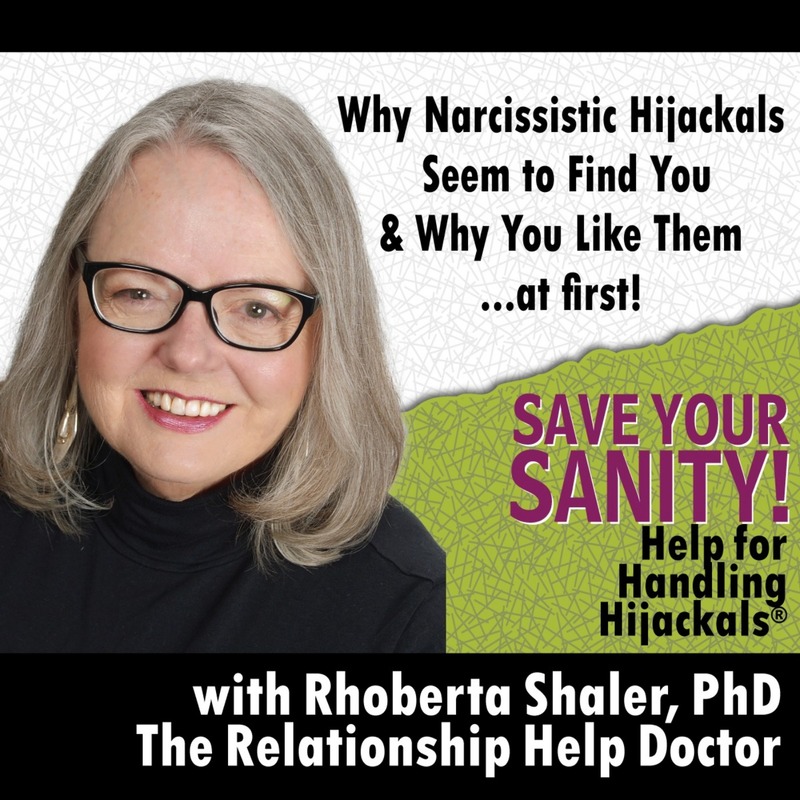 Many Hijackals have behaviors that are consider the same as those who are diagnoses as narcissists, borderlines, psychopaths, sociopaths, and histrionic personality disorder. 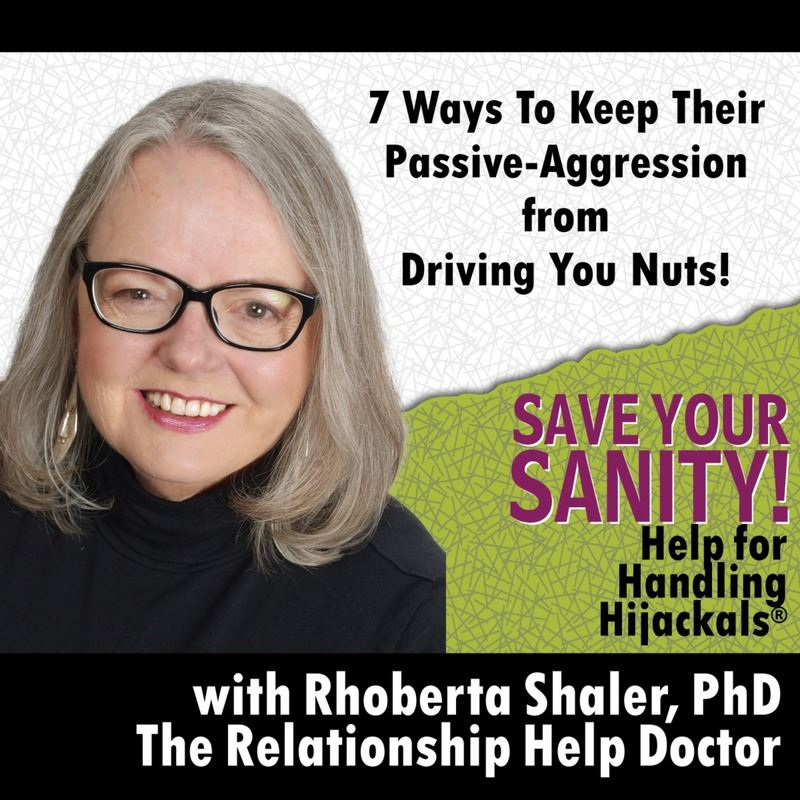 These insights will help you to make the changes--and good decisions--to move from pain to power, and that's exactly what you want to do! 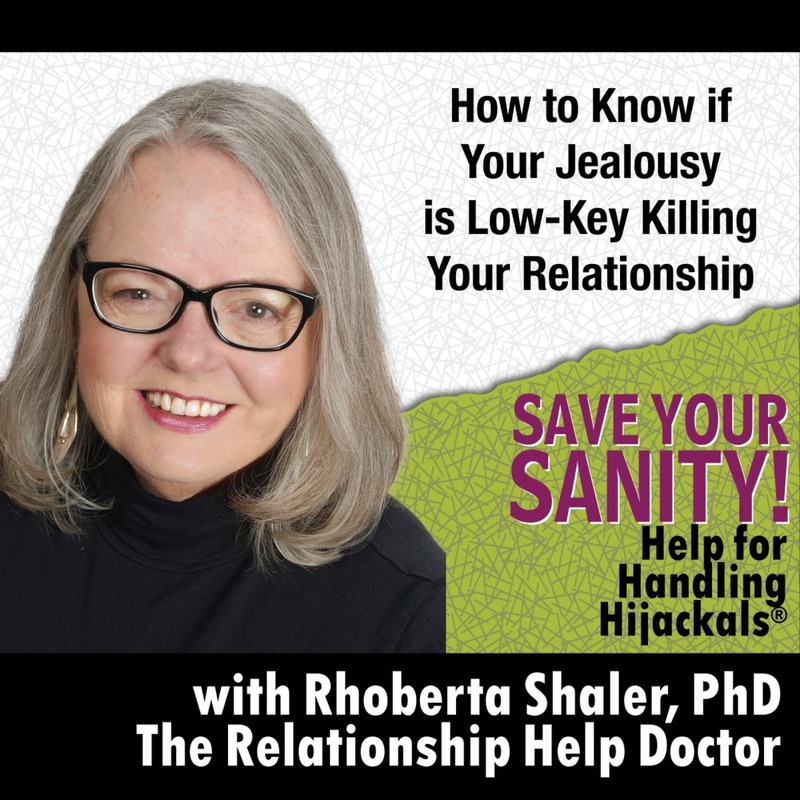 Listen now.